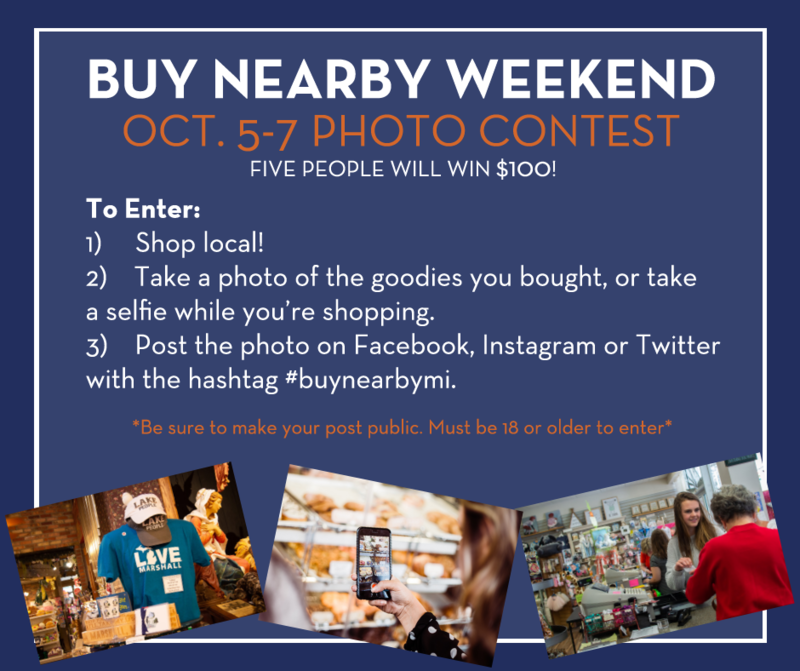 Retail businesses across the state will celebrate Buy Nearby Weekend on Oct. 5-7, offering special merchandise or sales and the chance for five lucky shoppers to win $100 gift cards by posting a photo while shopping local with the #buynearbymi hashtag. 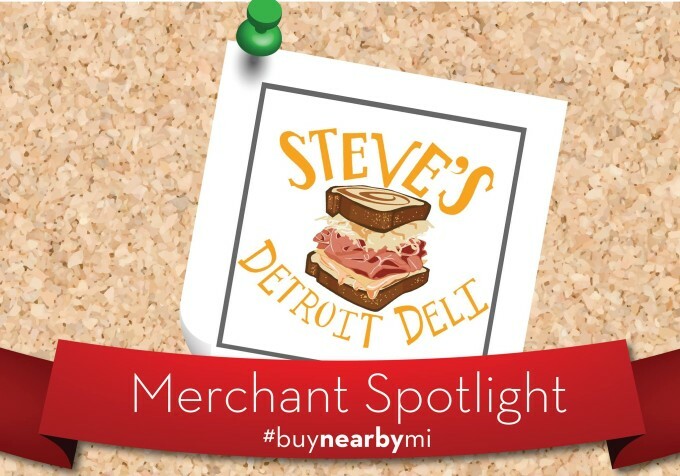 It’s all part of the Michigan Retailers Association’s (MRA) year-round Buy Nearby campaign that encourages shoppers to support their communities by spending their dollars locally. 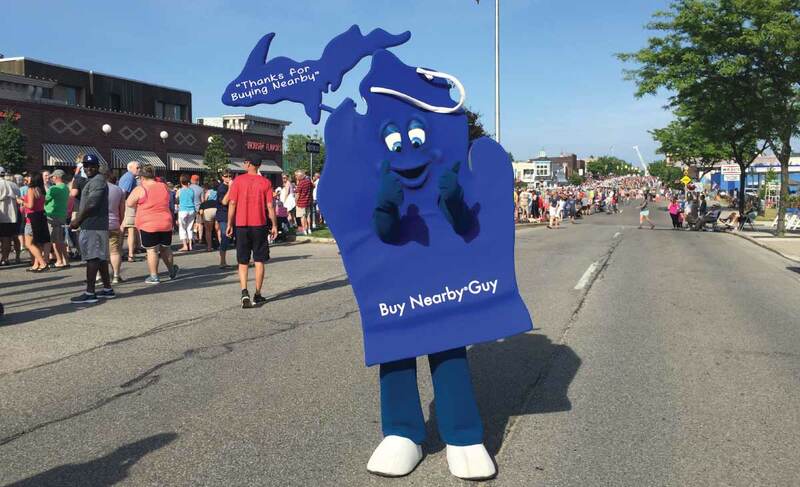 Shoppers may bump into the Buy Nearby Guy mascot, an 8-foot-tall representation of a shopping bag in the shape of Michigan. Buy Nearby Guy will promote Buy Nearby Weekend on Friday in Gaylord, Saturday in Wayland and Robinette’s Apple Haus in Grand Rapids, and at the Tuscola County Pumpkin Festival in Caro on Sunday. Shoppers are welcome to get their photo taken with Buy Nearby Guy. As an extra incentive to buy nearby, five shoppers will win $100 gift cards. All you need to do is take a selfie shopping at a local store or a photo of your purchase during the weekend; post it to Twitter, Facebook or Instagram using the hashtag #buynearbymi and you’re automatically entered. The winner will be chosen the following week in a random drawing. (Must be 18 or older to win; be sure your post is “public”). In 2017, Michiganders sent $18.5 billion to out-of-state retailers, a recent economic study by Public Sector Consultants showed. It also said the state’s economy would grow by $1.2 billion and nearly 10,600 jobs would be created if residents switched just one in 10 purchases from an online seller to a Michigan retailer. With 116,000 stores, Michigan’s retail industry employs about 877,000 workers and pays $21.6 billion in wages each year. That’s the direct impact. Indirectly, retailers purchase goods and services, such as cleaning services, security staff, accountants and more. And their employees spend money as well. Additional information is available on the web at buynearbymi.com and facebook.com/BuyNearbyMI. You can also follow the campaign on Twitter @BuyNearbyMI and on Instagram @mibuynearby. 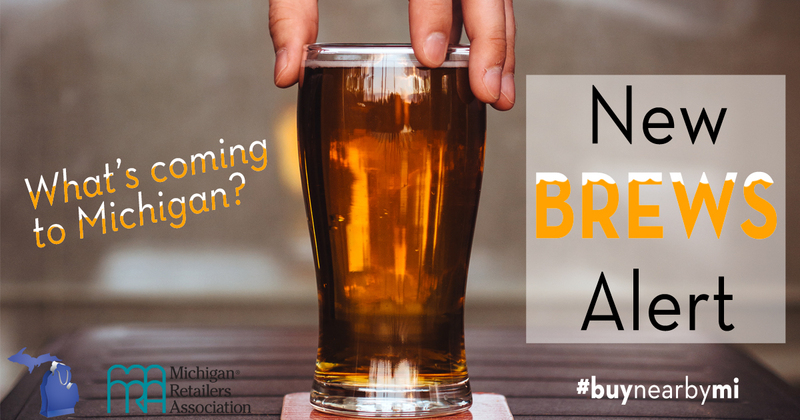 The Michigan Retailers Association is the unified voice of Michigan’s retail industry, representing nearly 5,000 member businesses and their more than 15,000 stores and websites. Retail is responsible for more than 850,000 jobs in Michigan.